We’ve all been waiting for the results explaining the tragic loss of a legendary singer. Whitney Houston’s coroner’s report has been revealed and with it, the conclusive cause of death. We’ve all been tiptoeing around the cause of Whitney Houston’s death on February 11; the tragic drowning of a pop icon at age 48 seemed like foul play. But the toxicology reports proved what we did not want proven. The singer/actress died from accidental drowning caused by a combination of atherosclerotic (clogged artery) heart disease and the old fiend – cocaine. 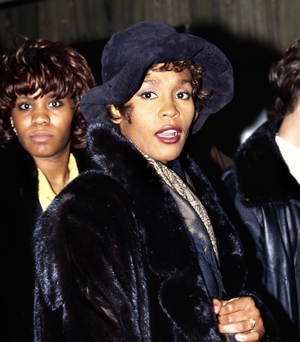 Traces of the drug were found in her system, when Houston was discovered plunged in a bathtub in her hotel room at the Beverly Hilton in Los Angeles. But cocaine was not the only foreign substance found in her blood stream; traces of anti-anxiety medication Xanax, antihistamine Benadryl, marijuana and muscle relaxer Flexeril were also discovered, according to E! News. But according to the coroner, they did not contribute to her death. The police ruled out any criminal relation to Houston’s pill consumption and found no proof of foul play. That’s all, folks. It has been concluded.